It all started when Ryan told Olivia he was going to be a few days late in his arrival to her family's annual beach vacation. Olivia was obviously bummed, but told him it was ok. Olivia went on with her family to their Pawley's Island beach house. When they arrived, her dad told her to go ahead and unlock the house while they started to unload the car. When Olivia opened the front door, she was completely surprised to find rose petals and roses everywhere. Ryan came around the corner from the living room, got down on one knee, and proposed. They were able to spend the next several days celebrating and relaxing together with her family. Ryan and Olivia wanted a destination wedding, but also wanted their closest friends and family to attend. 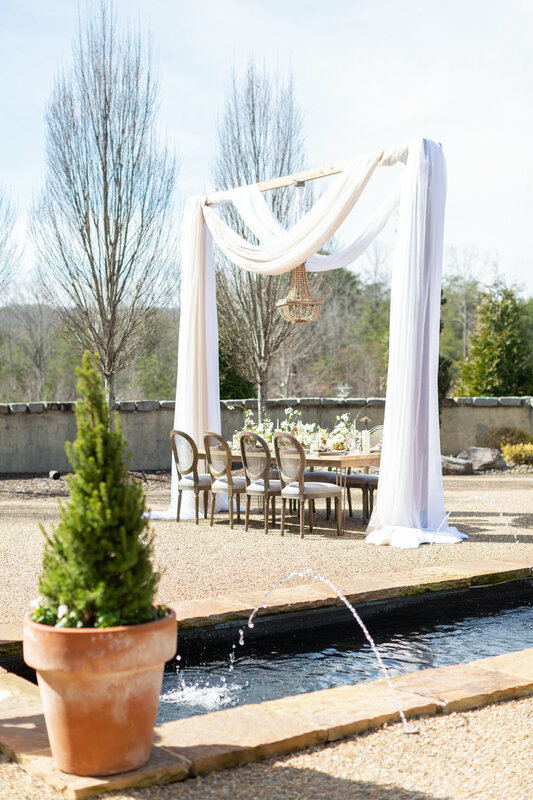 They knew that if they planned a wedding that was too far away, they may not get to celebrate with them, so they started searching for the perfect venue in the Upstate of South Carolina. When they found Hotel Domestique, they knew it was perfect. It boasts of a European vibe and makes you feel as though you are on the other side of the world. 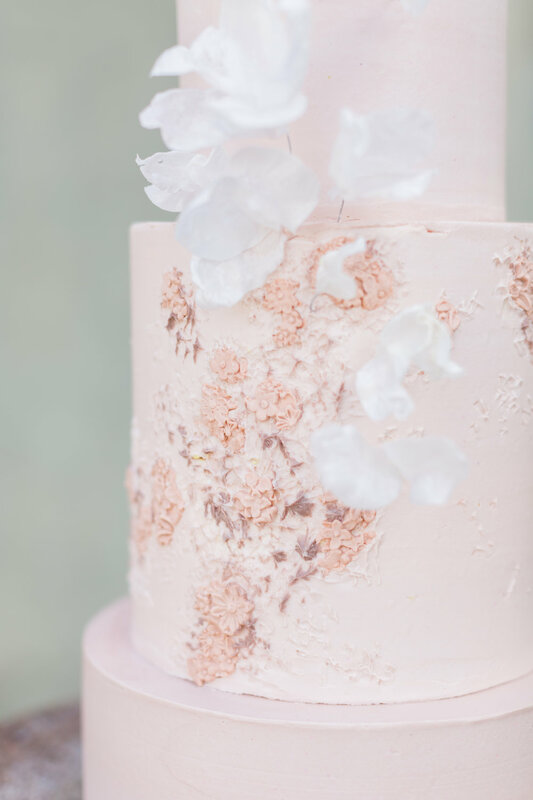 They decided they wanted a spring wedding with a color palette of blush, rose, and white with hints of golden yellow. Everything came together perfectly. They hinted at the experiences guests would have on the wedding day by sending out custom invitations that included a hand-drawn sketch of Hotel Domestique. On the wedding day itself, Ryan and Olivia couldn't have asked for a more perfect day. With a clear, sunny sky, exposed wood tables, soft white and mink draping framing the wooden chandelier, matte black flatware, and seasonal springy blooms, their wedding day exuded joy, love, and intimacy. Their new puppy, Oliver, even made a quick appearance to congratulate the two on their nuptials. Then Ryan, Olivia, and their loved ones celebrated and danced the night away before the newlyweds left the following morning for their Italian honeymoon. Sign up with your email address to receive Greenville Weddings news and updates.